See also original Reseller Gold plan location on their website! *Your placement in this plan will be honoured until the end of the calendar year, at which time, it will be re-assessed based on your annual domain spend and volumn requirements for the plan. 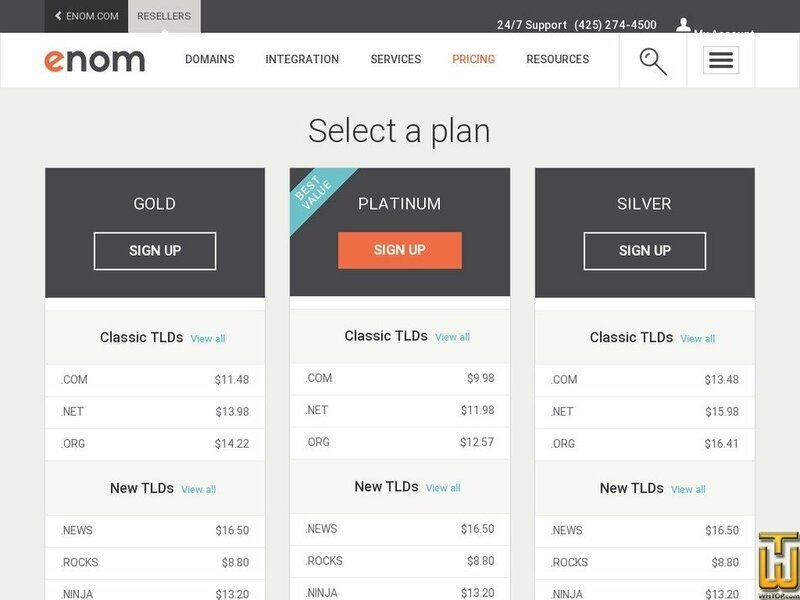 Price of domain varies for different TLDs.